Give your armored look a touch of darkness with the Black Alaric Chainmail Hood. Made from a multitude of interlocking butted rings, the mild steel of this hood has been chemically colored for its unique, darkened appearance. This hood provides comprehensive coverage that is sure to make it a favorite, protecting the head, neck, and part of the shoulders. Only the face of the wearer is left uncovered. The chemical coloration lends the coif some protection from rust. 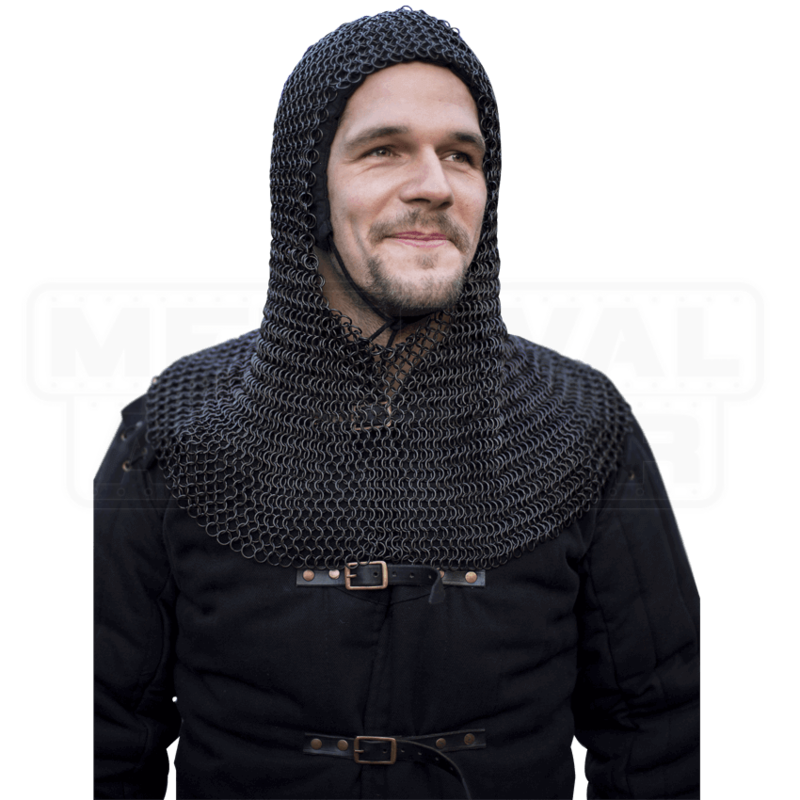 With proper maintenance, this armour piece will become a long-lasting staple in your medieval armour ensembles. Due to this items handmade nature, there may be slight variations to its appearance. 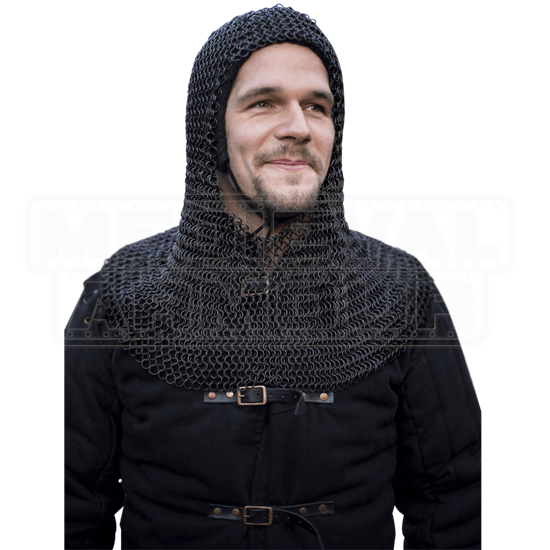 Make sure to wear the Black Alaric Chainmail Hood over an arming cap for comfortable and safe wear.